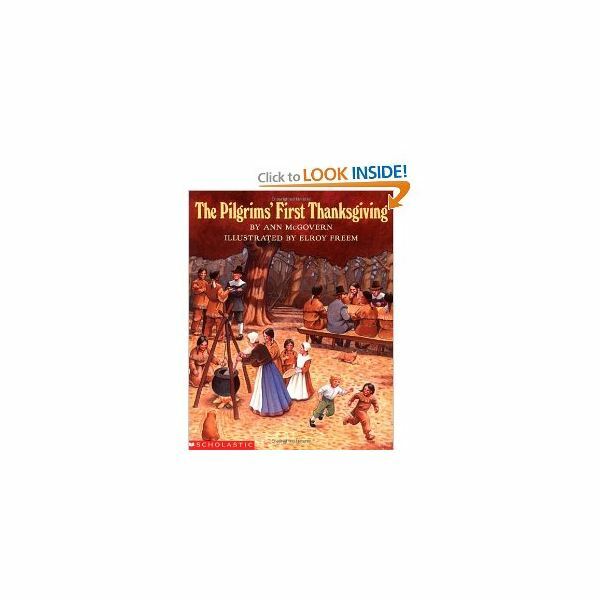 Read the book, The Pilgrims’ First Thanksgiving, by Ann McGovern. Allow the children to express their opinions on the life of the Pilgrims. Point out details, such as how the Pilgrim children dressed differently or the games they may have played. Tell them how everyone had chores, the different foods they ate and the homes they lived in. Stir up their imaginations and conclude with how each child should be thankful for the comforts and luxuries of today. Play Turkey Bingo by creating your own game pieces (the bingo cards are halfway down the linked page). The children love to interact and play while learning. Another math game is Pin the Feather on the Turkey. On the chalkboard, draw a turkey body and head. Pre-cut a feather for each child. When a question is answered correctly, the blindfolded child tries to "pin the feather" on the turkey. Customize the game by asking questions such as number recognition or a simple addition problem. Journaling should be introduced at the very beginning of school. If not, now is a good time to begin, at least once a week. Provide a spiral notebook for each child. Title and date the page they will be working on. The title for this project will be "I Am Thankful" and the children should be encouraged to draw and color a picture depicting why they are thankful. This allows for creativity and brainstorming. Always praise and make notations near their drawings. Allow the children to design their place mat with the item you provide. They may roll the corn cob in the paint, then on the construction paper, stamp leaf prints, or center a "hand print turkey". When the art work is dry, have each child to write their name on the place mat. Laminate it for durability. This will be a keepsake they can use over and over again.